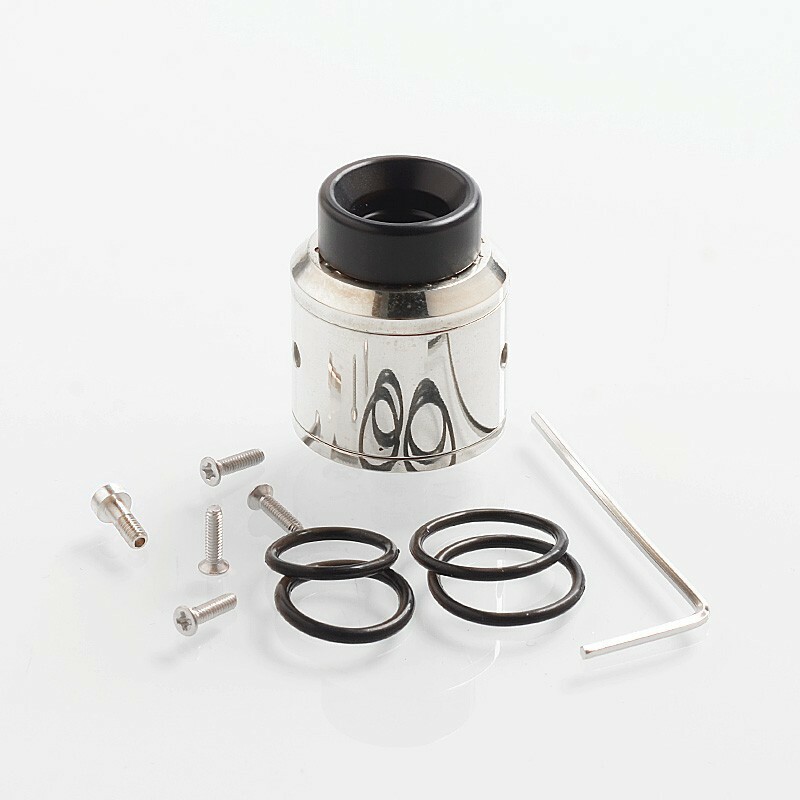 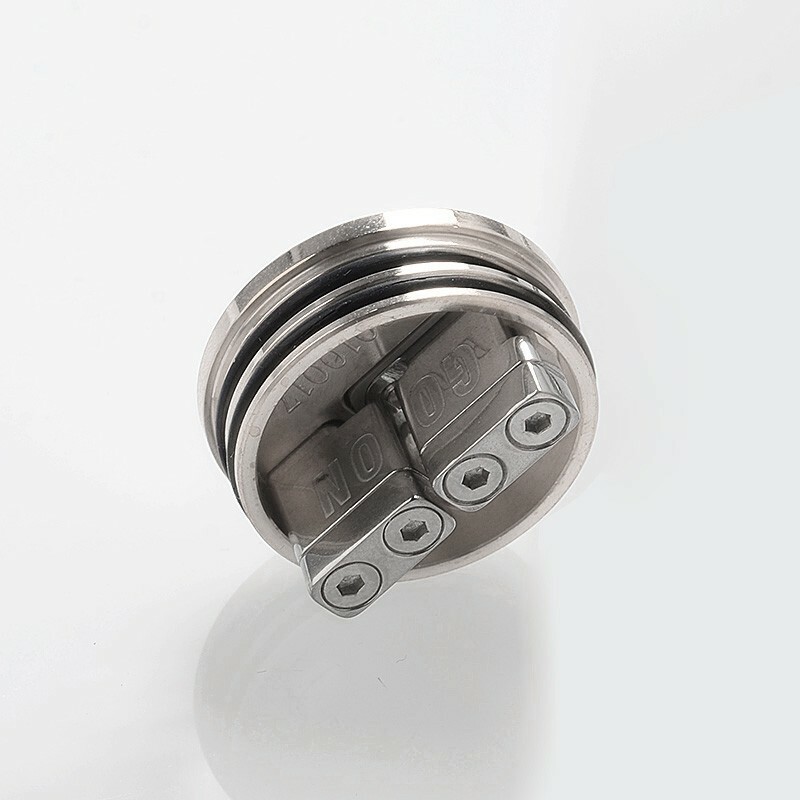 The 528 Customs Goon 25mm RDA is constructed from stainless steel in 25mm diameter. 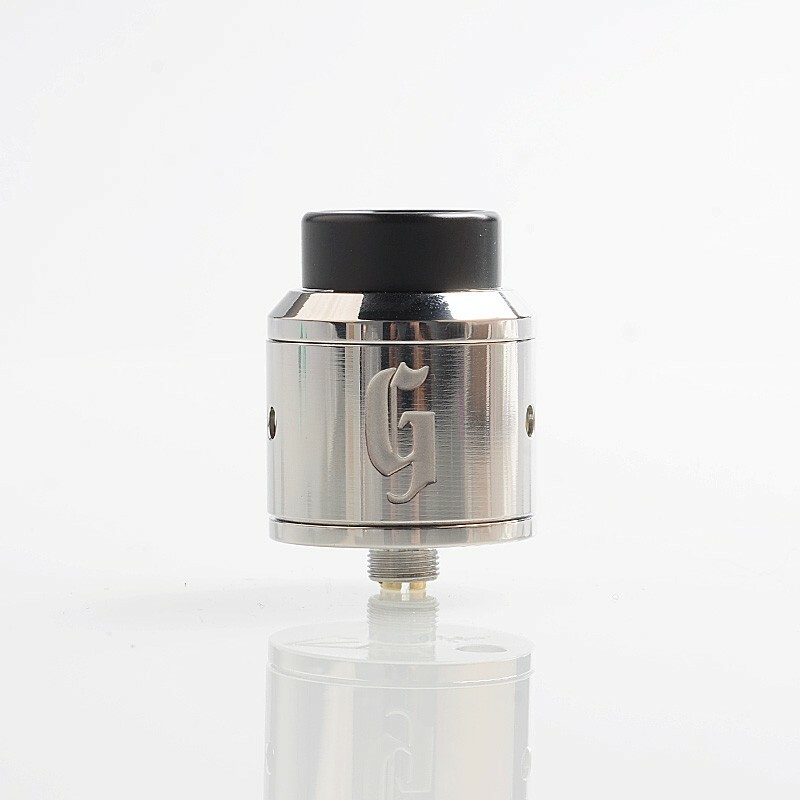 The Goon 25mm RDA comes with Larger build space vertically and horizontally than the Goon V1 and V1.5. 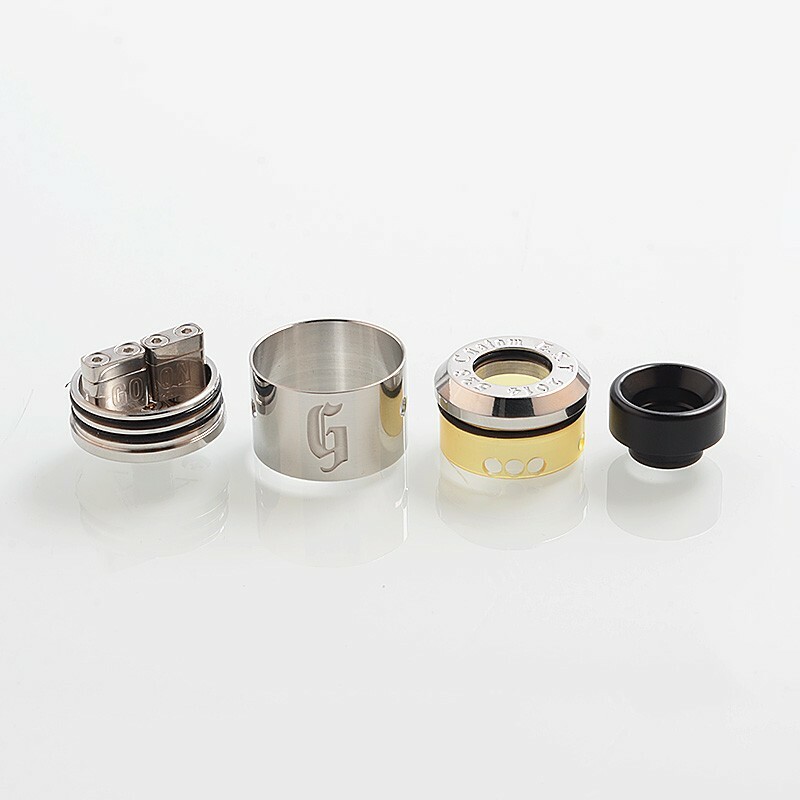 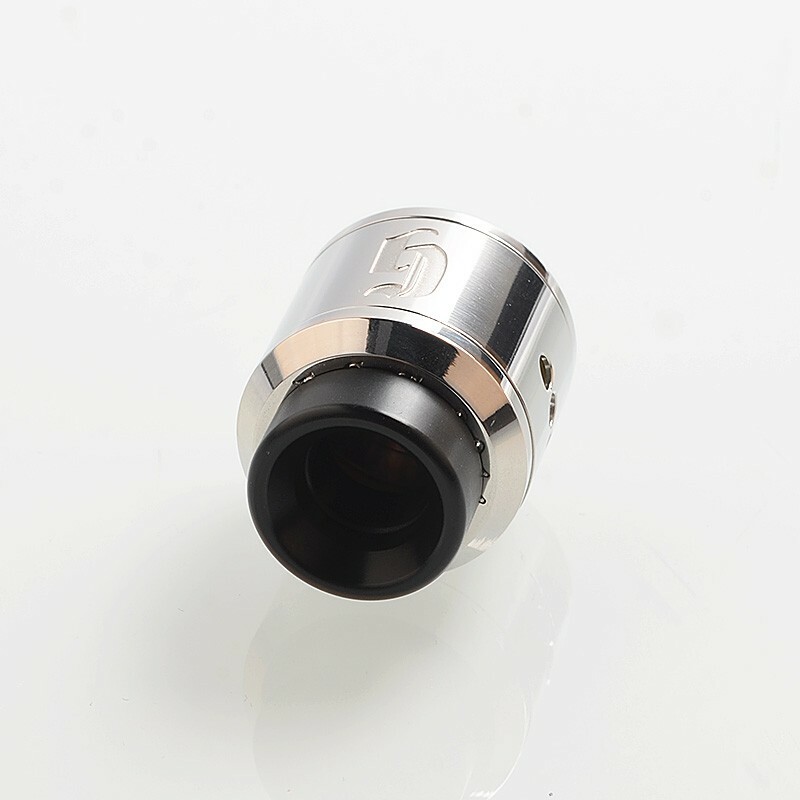 The RDA also features original V1 style airflow, Ultem inner sleeve to help cut down on heat to the drip tip, and domed interior top cap for better flavor. 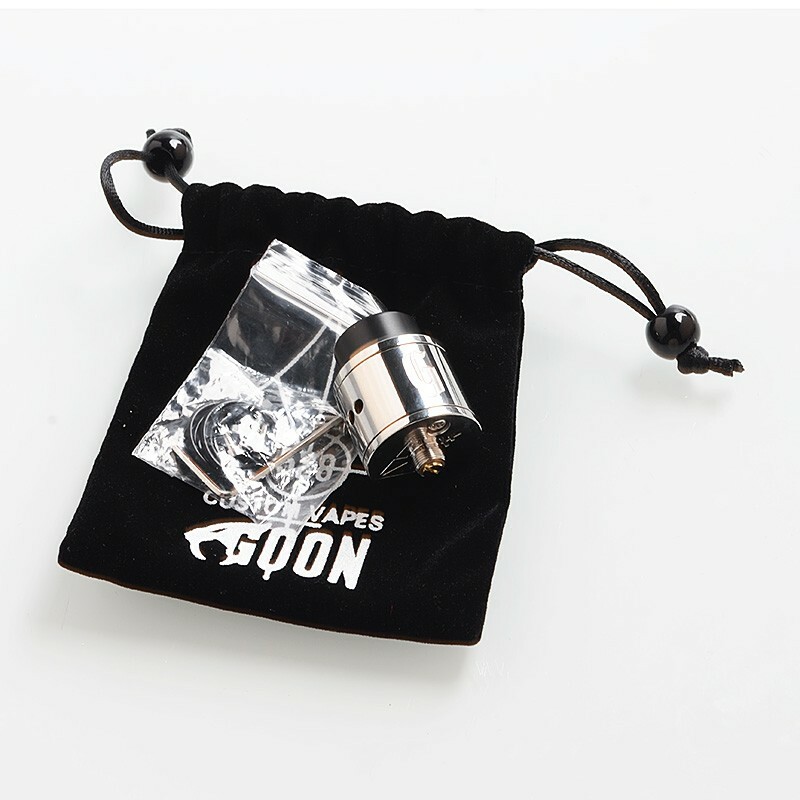 This RDA comes with bottom feeder squonk pin.